The behavior of the members of the supposed caravan camping at the border of Tijuana, Mexico and San Diego/SanYsidro, California is the best example of disrespect and lack of honor the majority of the members of that clan have demonstrated to the United States. 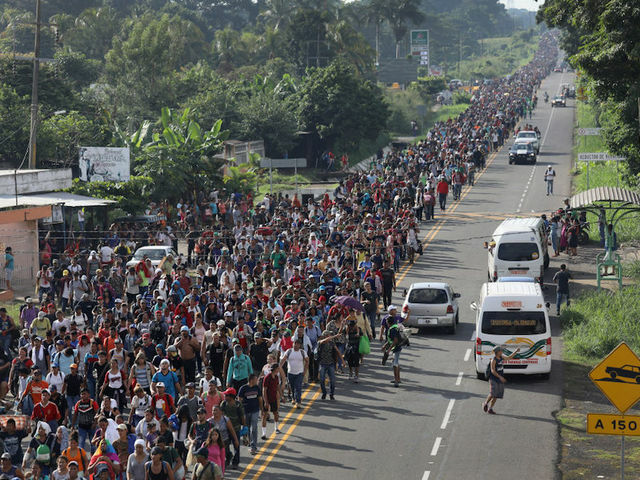 The attitude of these individuals seeking what they call asylum has never been seen before because most people requesting asylum do not do so in groups as large as they are doing it now. Most people requesting asylum are individuals that have some level of common sense and education; they know that they are “requesting,” not demanding, and act and behave like human beings. It is unknown if those asking for asylum are aware that they would not be able to return to their country of origin until the government of their country changes the administration. An asylum application must demonstrate multiple things to satisfy this requirement. One of the requirements is the applicant must show that the reason the persecution being done to them is that of their being in one of the five protected grounds for their needing asylum: race, religion, nationality, political opinion, or membership in a social group. The clan of Central Americans provoking the border patrol agents and the US authorities need to realize that their behavior is unacceptable and could have consequences that will not be beneficial to them. This situation obviously has been created by the politicizing behavior of those political pundits who pretend to be on both sides of an issue for the sole reason of getting votes and getting elected. We raise our voice to protect the borders and to defend the Constitution of the United States by alerting the innovators that such behavior will not be tolerated and will have repercussions. The anti-Trump liberal socialists, as always, are coming out to attack the behavior of the U.S. Forces that are responding to the attacks of the intruders who are trying to invade this nation and are throwing rocks at the border patrol agents and the Army stationed north of the border to block those who want to cross our border to get in the country illegally. cutting a big hunk out for themselves. If the monetary aid to Honduras stops, the president of that country, who was supposed to use that aid for the benefit of his countrymen instead of his personal use and luxury, may not be too happy. Stop the threatening — or we’ll stop the aid and close the border.